Plain and timid, debutante Pamela Burke-Smythe is a wallflower at the high society Boston balls she attends, overlooked by possible suitors. One-by-one, her friends become engaged, and Pamela resigns herself as to life as a spinster. When rancher John Carter becomes guardian to his orphaned godson, Nick, nothing he does seems to help the grieving, angry boy. At his wit’s end, he believes that a wife might help draw Nick out, and lonely himself, John’s been thinking along the matrimonial lines for a while anyway. But small Sweetwater Springs, Montana, has no suitable candidates. He decides to visit his great-aunt Hester in Boston and bring back a wife who is kind and compassionate, can be a mother figure to Nick, and who can adapt to the hard life on the ranch. Hester, who’s also Pamela’s godmother, plays matchmaker for the two. John responds to Pamela’s kind heart and believes he’s found the ideal woman. But Pamela never thought to marry a stranger and leave Boston, and her family and friends are against the idea. She musters all her meager courage to defy her loved ones and seize her only chance at marriage. After a whirlwind courtship, the couple marries and travels west. Pamela discovers a run-down ranch house, a bunch of unruly cowboys, a sullen boy, and a different way of life. Can their new marriage survive the challenge? 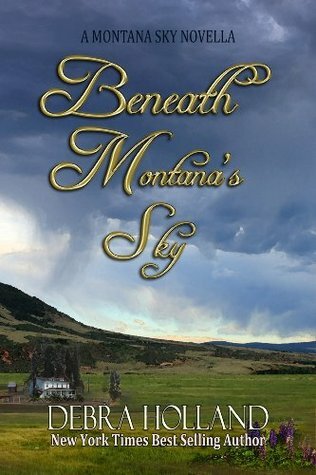 Set in 1883, Beneath Montana's Sky, is a prequel to New York Times Bestselling author Debra Holland's Mail-Order Brides of the West Series and Montana Sky Series. "I want to stretch our legs and show you the view of our valley. It's a tradition when we bring someone special to the ranch for the first time." He set the kitten on the seat opposite them and opened the door. He stepped out, then helped her to the ground and started to release her. Pamela squeezed his hand and didn't let go. John's quick smile told her he approved. He led her to a lookout and waved an arm in a sweeping motion. "Our valley." "Really?" Delighted, she leaned forward to take in the view. Grasslands studded with cattle surrounded a big white house, outbuildings, a barn, and two smaller homes. She studied the house. From this distance, it looked large and comfortable, two-story, as John had described, with a porch across the front. She relaxed at the sight. The distant mountains still held snow on their peaks. Stark blue sky stretched over the land, with several puffy white clouds floating by. Our valley, she echoed. 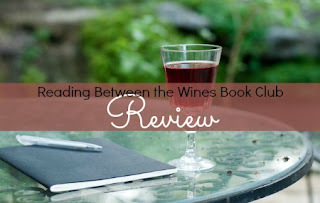 BENEATH MONTANA'S SKY by Debra Holland is a lovely tale in her Montana Sky series that fills in the back stories on a few prominent favorite characters. It is set in the late 1800s in both Boston and gorgeous Sweetwater Springs, Montana. I'm a huge fan of the series and it is always an enjoyable treat to revisit the town and its residents. This is most definitely a book that fans of the series will savor. It is primarily the story of rancher John Carter and Bostonian debutante Pamela Burke-Smythe, who, together, become the matriarchal family in Sweetwater Springs. I've admired both John and Pamela both for so long and now I know how they met and so much more! This whole novella was one favorite scene for me! However, I think I smiled the biggest when the couple were married and when Nick named his favorite flavor as chocolate for his long-overdue birthday cake. This book made me really appreciate our modern ways of transport but it also makes me long for a time when being neighbors meant more than just living next door. This is a clean-as-a-whistle romance; If you are looking for hot and steamy, look elsewhere. This process of cutting a potential wife from the herd was proving far more difficult than he'd thought. As they walked toward the dance floor, Pamela barely felt the bruises on her feet from Henry. The thrill of waltzing with Mr. Carter practically banished the ache. On the floor, he took her into his arms. She liked the feel of his hand on her waist, the press of their gloved palms together. For the first time, the intimate posture, which had always made her feel uncomfortable and stiff, seemed right, and she wished he would pull her closer. Throughout the beginning of the waltz, they remained silent. She had the sense that Mr. Carter was concentrating on his steps, and she didn't want to distract him. He frowned. "I'm sorry I'm not a very good dancer." "Not at all." Pamela thought of Henry and had to restrain a laugh. She didn't want Mr. Carter to think she was making fun of him. "You couldn't possibly be worse than my previous partner, who led me in the wrong direction and trod on my toes!" His troubled expression cleared. "Well, then, I'm grateful you decided to risk your toes again with me. I promise, I'll try to keep my boots on the floor where they belong." He wiggled his eyebrows. Pamela laughed at his playful act. "I watched you with Elizabeth, and you were fine. So accepting your invitation to dance was not such a risk as you're making it out to be." As they bantered, Pamela found herself relaxing. Conversing with this stranger she'd only met twenty minutes ago was far easier than talking with some men she'd known all her life. Mr. Carter also seemed to become comfortable. His lead became more expert, and he picked up their speed. As they became in tune with each other, they flowed in perfect step to the music. Exhilaration welled up in Pamela. She'd never known dancing could feel like this. She glanced up at him, feeling a smile as wide as the moon stretch across her face. "We're flying!" "We have plenty of natural springs in our area. The cool springs have the sweetest water you'll ever taste - hence the name of our town. And it's never too cold for a Montanan to sit in a natural hot spring, even if it means your wet hair turns into icicles." Her hand rose to cover her mouth, and her eyes widened. He laughed at her shocked expression. "Hot springs outdoors? In the winter?" "Hot springs feel down right good to soak in anytime, especially when the air's cold outside. The hot water soothes sore muscles and is good for what ails you. But I also have a river through my property. I've dammed up a spot that makes for a nice swimming hole when it's hot in the summer." A blush rose in her cheeks, and she glanced to the side. Pamela couldn't help the dreamy vision of bathing with him in a hot spring, touching each other as the snowflakes swirled around them. She let out a sigh. So romantic. Lara Asmundson did another fabulous job narrating. Her voice is pleasing and crystal clear. When Lara narrates, the story takes precedence and I don't think about her voice as she perfectly delivers the tale. I can honestly say that I kept a smile on my face through-out this audio. I even replayed some parts multiple times just for the pure pleasure of listening to them. Debra's writing paints each scene with a life-like touch so the reader/listener is transported into the story with the characters. I felt that I could see the beautiful blue sky bespattered with white puffy clouds, the massive grasslands stirring in the breeze, the clear starry nights and could smell the fresh clean air. Reading her books is like taking a vacation without leaving home. Debra is one of my favorite authors whether she's writing sweet western romances or epic fantasies. I know when I pick up any of her books that I'm in for an entertaining time. I can't say enough good things about BENEATH MONTANA'S SKY. If you are a fan of the Montana Sky series or the Mail-Order Brides of the West series, this is, without a doubt, a must-read! Giddyup to your nearest bookstore or online retailer and put it in your saddlebags! If you're not a fan yet, this is a great introduction to either series and I highly recommend it to anyone who enjoys sweet historical western romances!